Intercontinental Cry today released its third major publication — Communications in Conflict — a collaboration with Public Good Project under the creative direction of Wrong Kind of Green. In Communications in Conflict, IC Editorial Advisor and Columnist Jay Taber describes the effective communications devices used in netwar, revealing a communications strategy that works. Through interviews, research and analysis over the course of two decades, he conveys lessons from which anyone committed to human rights and the Indigenous Peoples Movement, can benefit. 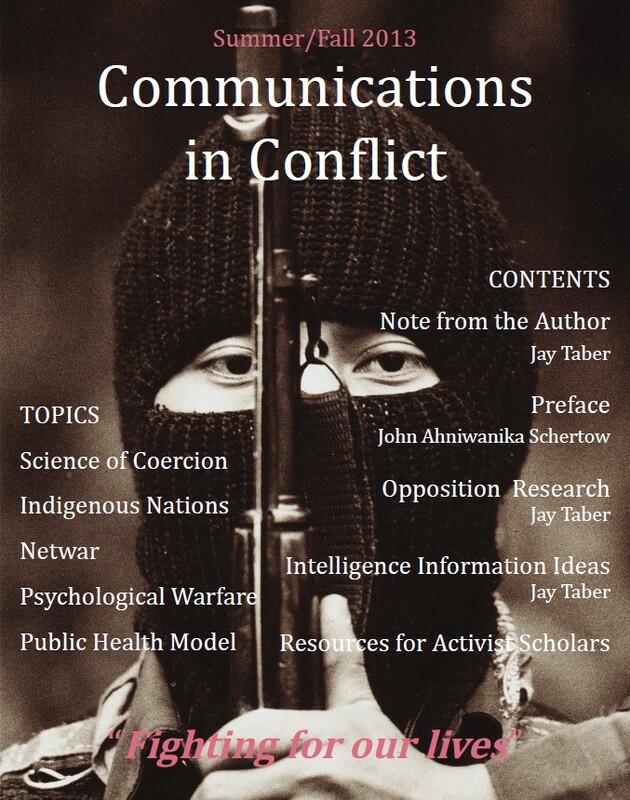 As an introduction to the topic of netwar, Communications in Conflict is uniquely suited to serve as a touchstone for those who, like the Zapatista of Chiapas, Mexico, realize the connection between intelligent communications and networked power.